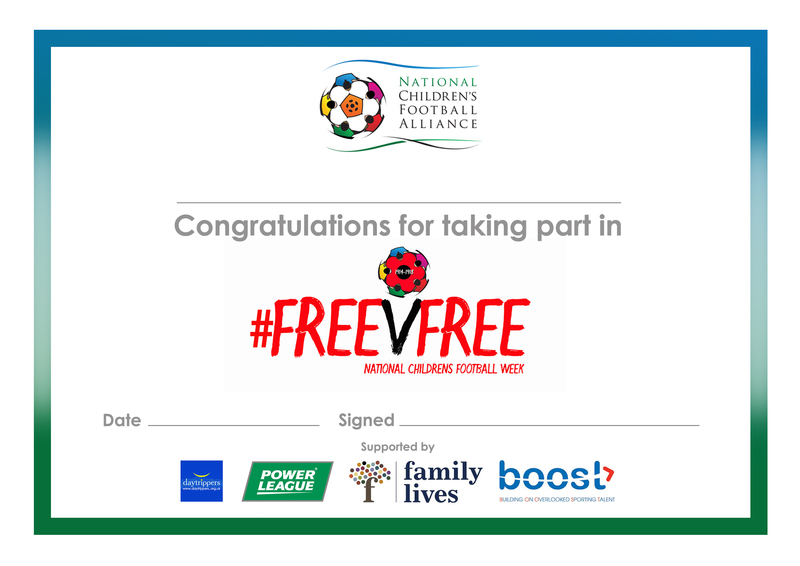 This year the National Children’s Football Week will incorporate the Football & Peace project that will celebrate and reflect on the most famous football game ever played. A hundred years ago on Christmas Eve 1914 the Allied troops played a game of football against German soldiers. This is incredible when you think that only hours earlier they had been slaughtering each other. It shows how powerful football can be in uniting people and making new friends. This was the game that they had played as children, jackets for goalposts and a ball, the children’s game. These dates include end of school term time and the start of the summer holiday. It could be 1v1 balloon football in your bedroom or 2v2 in the garden with some mates. Or perhaps you would like to organise something at school in the playground or school field. You could organise to meet your friends in the park or see if you and your friend’s parents could club together and hire the local sports hall for a game. Whatever you do please let us know what you did and take a picture or video clip of your FREE V FREE game. Please remember to get your parents and or teachers permission for what you are doing. Information for coaches, parents and teachers. Are you able to run an event or facilitate a game? It can be as small or large as you want. Please tell as many people as possible and let us know what you are planning and how it went. This is a unique opportunity for our children to take part in a most memorable event. To connect with an inspirational moment in history and celebrate the children;s game. You can download NCFA materials FREE to help support your occasion or event. 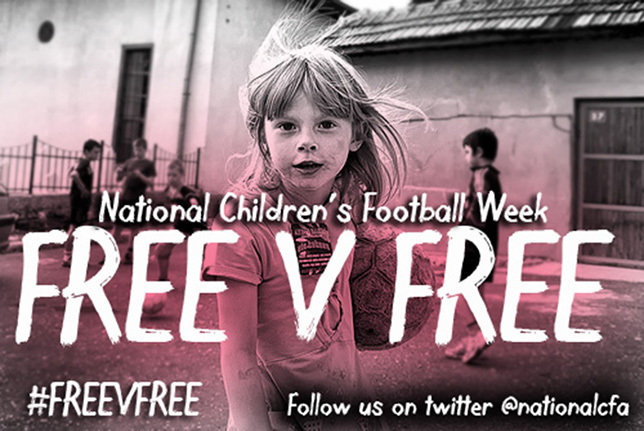 TELL US ABOUT WHAT YOU ARE DOING AND WHY YOU THINK SUPPORTING NATIONAL CHILDREN’S FOOTBALL WEEK IS IMPORTANT! Send in your stories, your details and your pictures by 2nd September 2015 and we will showcase your celebration on the NCFA website.